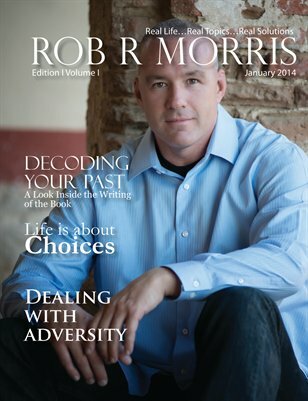 Real Life…Real Topics…Real Solutions Rob Morris is a native to the beautiful Central Coast of California. From the breathtaking Pacific Ocean to the amazing wine country, Rob has made this his home to raise his two boys. He enjoys many activities from Jiu Jitsu and working out to sipping a glass of local wine and reading a book. Rob is the author of Decoding Your Past – A Guide to Happiness and Success Through Self-Understanding. He is also a motivational speaker in addition to his full time job as a police officer. Rob created this blog site as a way to share some of his insights and opinions on a variety of real life topics. He truly believes that we can all better ourselves and grow by sharing information and challenging ourselves and our perspectives on life issues.